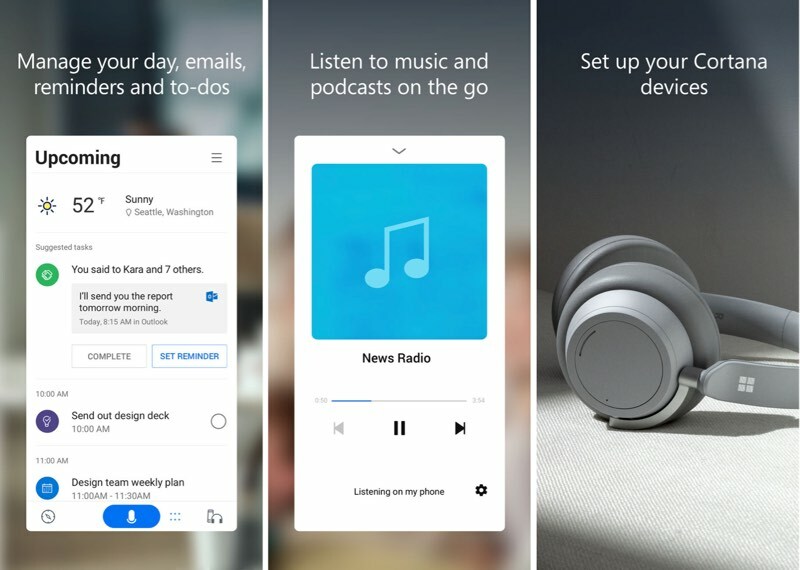 Microsoft today released an updated Cortana app for iOS, which features an overhauled interface and new features like music and podcasts support. For those unfamiliar with Cortana, it is Microsoft's version of Siri or Alexa, an AI-based personal assistant that can answer questions and complete small tasks. Microsoft has been testing the revamped version of Cortana since October. The new interface is focused on conversational experiences with Cortana, plus it includes support for music and podcast suggestions, and a focus on setting reminders, timers, and meetings. I heard it’s already been installed something like nine times. Isn’t it kind of pointless to have your AI assistant reside inside of an app, instead as part of the OS? Part of me wanted to roll my eyes at their efforts to bring Cortana into iOS but then I remind myself how worthless Siri is and it even piques my curiosity. Hey Siri, tell Cortana to tell you to provide contextually relevant results. Someone with that attitude towards Siri suggests someone that tried it once, had a poor experience, gave up and started bashing the tech from that point forward. How close am I? Siri has evolved tremendously over the years and it's great on many fronts. When is the last time you tried it, if you already feel it's going to fail you? Why are you quoting "AI"? It's true Artificial Intelligence that powers the tech. I actually use Siri all the time. On my phone. On my watch. On my Mac. On my Apple TV. I use enough to determine that more than half the time it’s useless so I end up having to do X task on my own. It’s great when it does work but it also does a fantastic job at failing me when I need it most.